That Vincent Van Gogh produced thousands of drawings and hundreds of paintings in the last few years of his short life, that mistakes are our teachers, and that I should draw more of my food. And I met some really neat people. I was there too! By the way, I have checked out your book too! I'm really enjoying it....thanks for writing it! Hahaha! Thank you! Did we meet afterward by any chance??! I've been a fan of Danny Gregory since I read "Creative License." 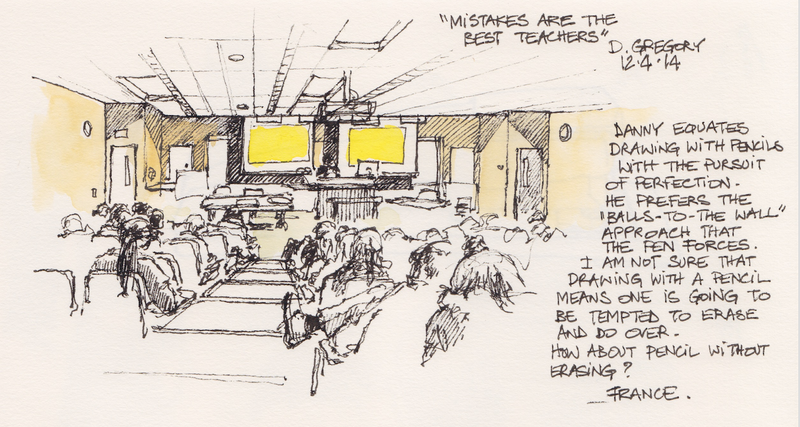 What a fun thing to get to attend a lecture! Jealous. I just read your book "Sketch!" this weekend. Loved it. Thanks for the inspiration. I put a shout out to it on my blog this morning. 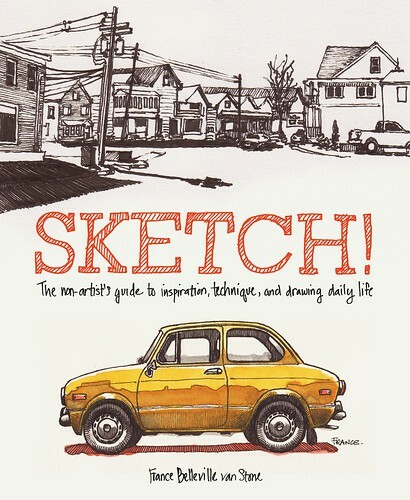 I read about this book 'SKETCH'. I was thinking about writing such a book too. But now you wrote it, there's no need to write it anymore. So I want to ask you: can I translate your book into Dutch?